Fairview Road is out! You can order it here. It’s also available on amazon.com. You can read more of my work here! Kathleen Kraft’s gently lyrical poems are full of grounded wisdom. Often beginning in solitude, confronting permanent human themes like love, death, and childhood, they breathe new life into the poetic habit of introspection by honoring its real-world complexity. As she writes in her beautiful title poem: “There is nothing like this brazen solitude, // this freedom to be sad. . . .” Out of this self-contained waiting and wondering come the clear, sensuous details that give these poems their appealingly plausible grace. —Joshua Mehigan, winner of Poetry magazine’s 2013 Levinson Prize, a Guggenheim fellow, and author of Accepting the Disaster. The feeling in Kathleen Kraft’s poems is both vast and particular, and it gives a radiant shine to her well-crafted chapbook of loss, of solitude and solace. — Edward Hirsch, author of eight books of poems, including The Living Fire: New and Selected Poems and Gabriel, and president of the John Simon Guggenheim Memorial Foundation. 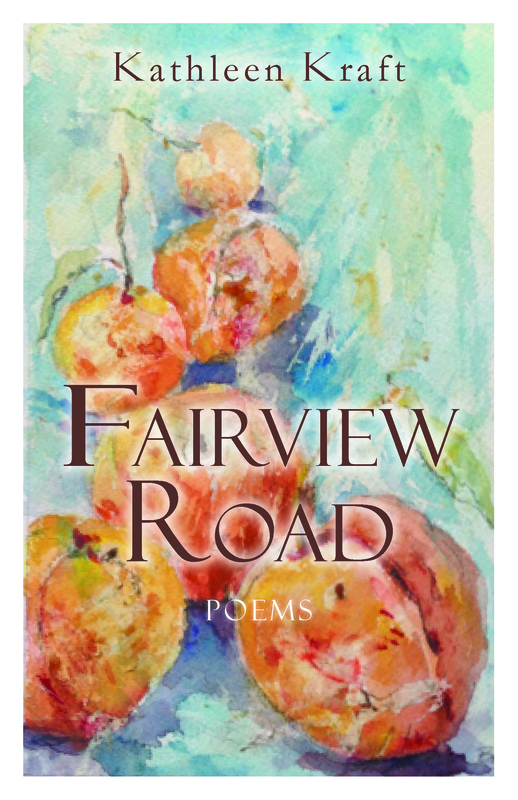 In Fairview Road, Kraft leads us carefully through the old world—imagining her father stumbling on Vilnius’s cobblestones streets —and the new new world—full of texting and dates at Thai restaurants—with an assurance and ease that makes Fairview Road a journey you will not want to miss!